​​​​ WICHITA FALLS – Construction of the Robert and Carol Gunn College of Health Sciences and Human Servic​​es building continues on schedule in the northwest corner of Midwestern State University. 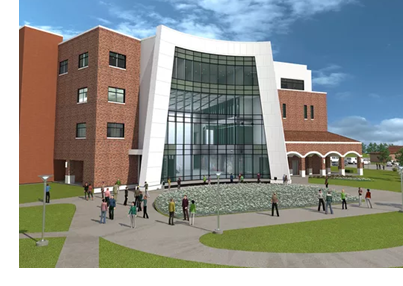 The four-story building on Louis J. Rodriguez Dr. will be one of the largest on campus. It will feature 85,000 sf of classrooms, laboratory space, student collaboration areas​, lounge, faculty offices, and a food kiosk.